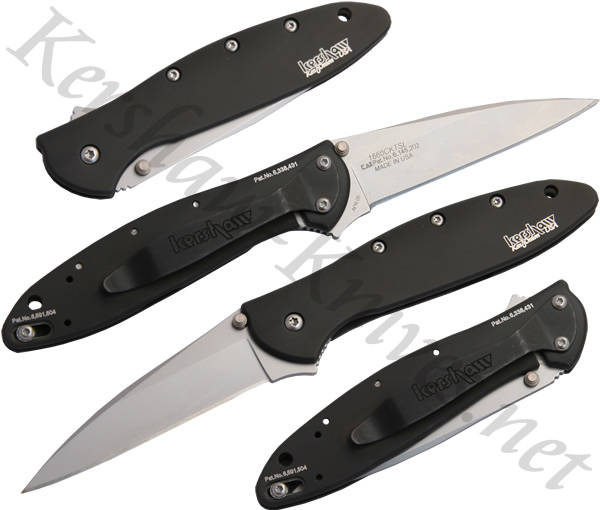 The Kershaw model 1660CKTSL is known as the Tungsten Leek. This knife features a unique black handle made of 410A stainless steel and coated in tungsten DLC. The three inch fine edge knife blade is made of 440A stainless steel. A speed-safe torsion bar assists in the opening of the blade when the user swipes his index finger across the push lever on the spine of the knife.